Discussion in 'WIP (Work in Progress)' started by roninmodern, May 5, 2008. Ok, work on ghosttown has been scrapped. 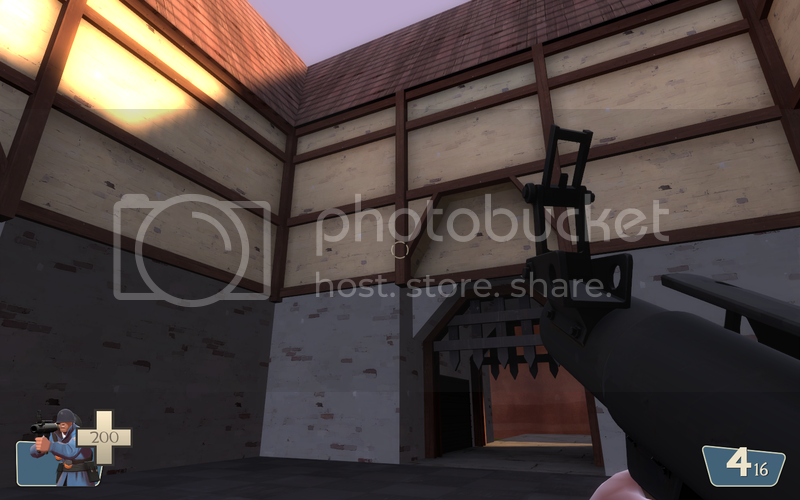 I'd started another level, cp_eldin and decided that while it was decent, it wasn't laid out as well as I'd liked. 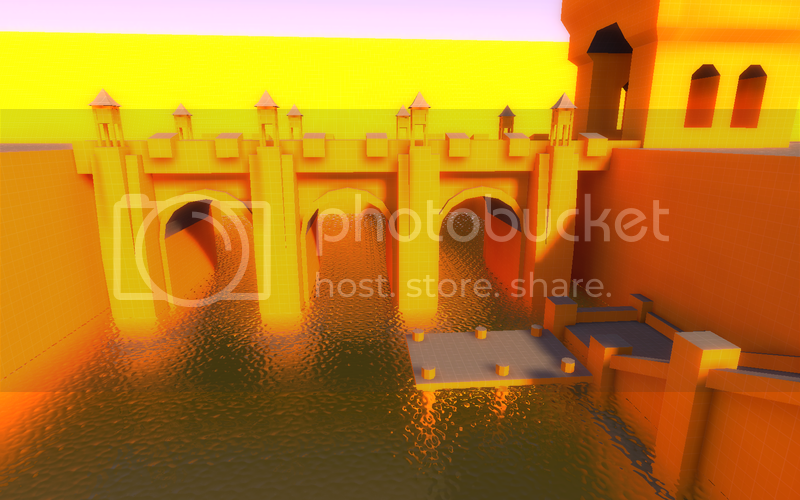 So, I've started on cp_elsinore which, as you can probably tell from the name is a castle themed map. 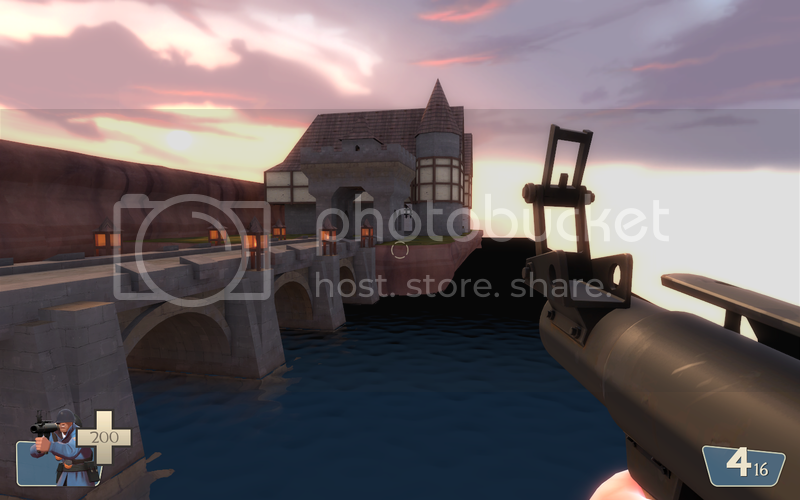 It focuses on a nice little hamlet nestled between a mountain and the ocean, with a castle on each side. The castles secretly harbor the spy labs of the RED and BLU corporations, of course! So far I've only got the bridge and a gatehouse for one side of it done, but I do have WIP shots and am going to feverishly be working on this. Hope I've piqued your interest. Looks good but the scale seems off... will be very sniper friendly as is. nice brush work, looking good. Very nice! I'll be watching to see how this turns out. @MangyCarface - the sniper issue is something I've always got in the back of my mind. Making it a viable class, but not overpowerful. To that end it's really going to come down to terrain and debris lying about to add cover. Maybe a trebuchet on one side and a catapult on the other? @Tedrock - I'm going to up the scale next build, hadn't even thought of it but now I'll try and find something go0d. Elsinore... is that a Strange Brew reference? No, it's the name of the castle in Hamlet. Ok, that makes sense. Strange Brew is based on Hamlet. The villian runs the Elsinore Brewery. Love the bridge BTW. Great brush work. Hey ronin, shame I didn't see this until now. This looks very good! 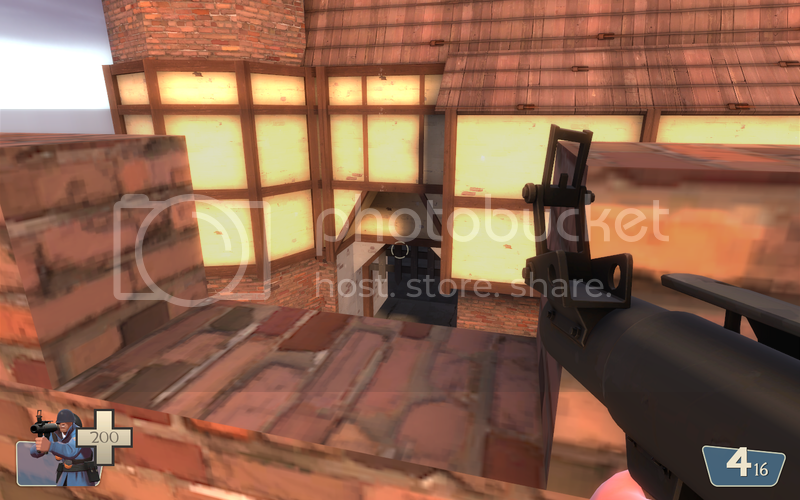 But it's gonna be quite fps heavy if you put the details in? I love the brushwork though, keep it up. And with enough cover, the snipers will have a hard time if you place the debris good. 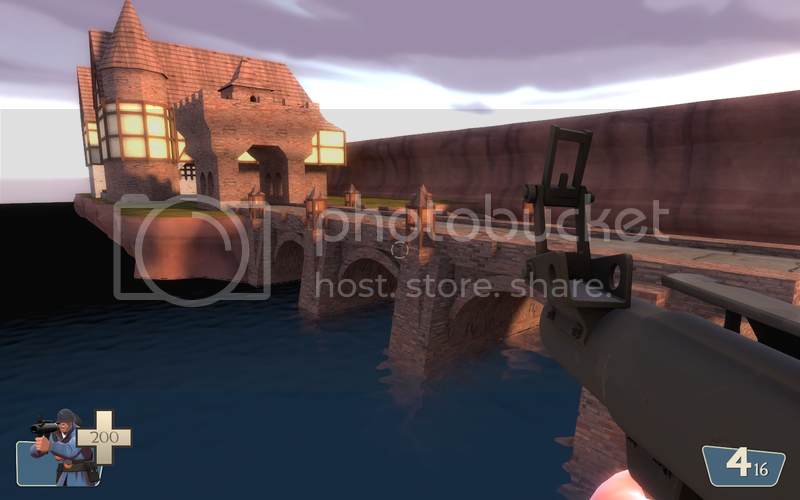 wouldn't be the bridge to much off a chockepoint? There's going to be a cave entrance at the bottom of the cliffs for each castle, otherwise the bridge would become a giant chokepoint. Wow. Back to working on this after forever. Some ideas remain the same, others are scrapped. Still two castles on each side. 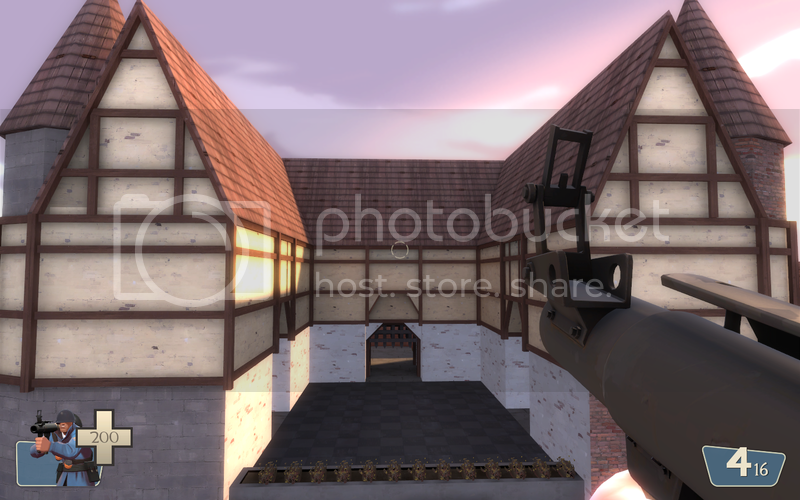 Instead of a town in the middle, there's a teutonic-style mansion. No more tunnels through the ground, it's an all out frontal assault, with a path down to the water as an alternate route. By the time the fight is at the bridge, noone will be in a good position to snipe. Glad to see you back, looks great. 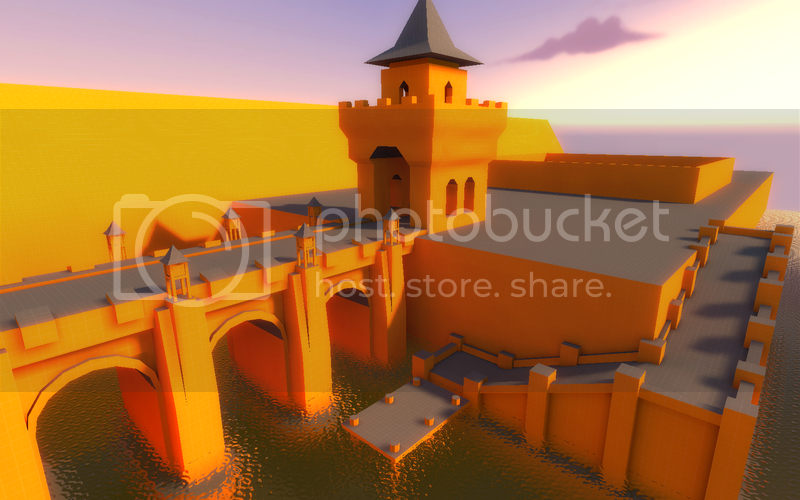 wow, this is like a 2fort_royale!